Get A Free PDF Version Of This Guide: Contains all the tips, resources and information found here. As you read this, you may already know what you want from practicing a martial art. Then again, perhaps not. If your training goes exactly as you want for the next year, how will your life be different? You almost can't answer the question wrong. What you want from your training is what you want. That can't possibly be wrong. But, you're asking what's the way to get it wrong? Here's the way to get it wrong . . .
Don't really think about why you want to train. Don't bother to uncover your true feelings. And that would be a terrible shame, because not thinking about what you want from your martial arts training could lead you to . . . So before you just pop off with a quick answer, really consider the question. Some people are looking to quickly learn some effective self defense skills. They're not looking for long term martial arts training. If that's you, then you may want to take a short self defense course. 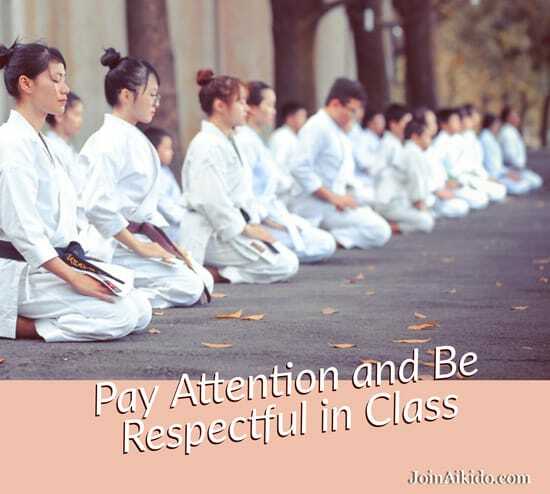 We periodically offer pure self defense classes here at Aikido'Ka. Click here and I'll let you know when we're having a street effective self defense seminar. Here's Some Things to Stay Away From! I am biased and here's why . . .
At a reputable martial arts school, you'll be learning all types of physical and mental skills. But, here's the thing: martial arts can be really dangerous. Does it look like people are going to get hurt? Because as the new person, you're the one who is going to get hurt. Your martial arts training should make you healthier and stronger, not break your body and your spirit. Getting hit on your head. We know that repeated blows to the head do serious harm. You don't need knock out blows to do harm. Many fairly light strikes might do it. One strong strike can truly ring your bell. You can get concussions, which are very bad for your brain. As in, brain injury. And a brain injury can make an epic mess of your life. 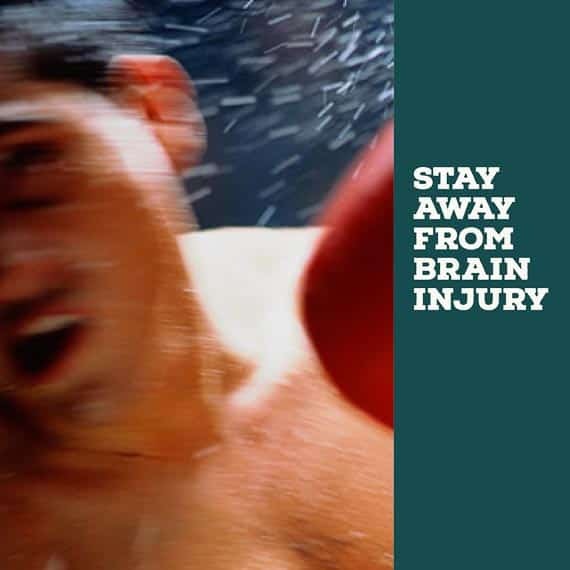 Stay away from brain injury! Or you can get injured much worse . . . 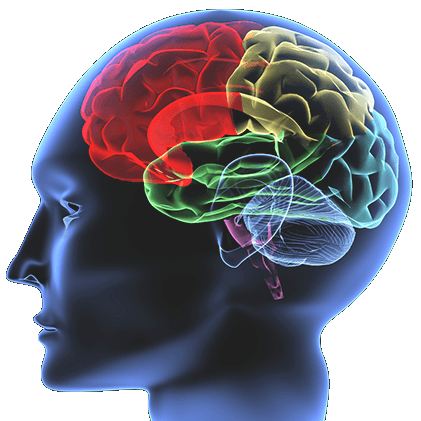 Chronic Traumatic Encephalopathy (CTE) is a disease of the brain that gets worse with time. It's found in people with a history of getting hit in the head a lot -- very often athletes. You do not need symptoms from these head traumas. 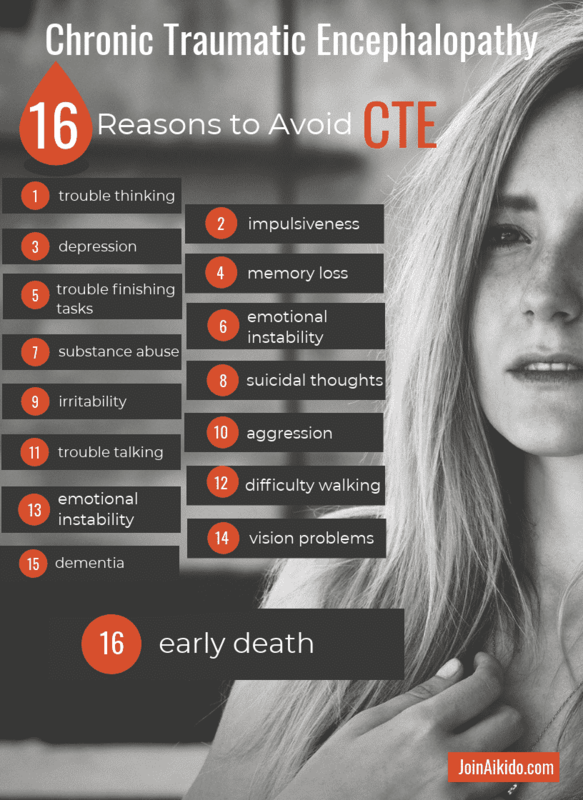 You've probably heard of CTE in news reports about professional football players who died young and who suffered horribly. How about these symptoms . . .
Scientists and doctors are still learning about CTE and what causes it. But we do know that multiple head traumas can cause it. Do yourself, and your family, a favor and err on the side of caution. Stay away from martial arts where you'll get hit in the head a lot. If you need headgear to protect your head during your practice -- maybe you should go somewhere else. Don't even think about boxing. What's the Difference Between a Traditional Martial Art and a Modern Fighting System? Traditional martial arts, such as Aikido, Karate, Tae Kwon Do, Kung Fu, Judo and Kuk Sool Won, were often created a long time ago. They can have traditions that are ancient. They may have been pure fighting systems in the past, but they have evolved to be something more. They are now not primarily concerned with creating great fighters, but are ways of life. Becoming expert in a traditional martial art can take decades. People spend their lives practicing -- and loving -- traditional martial arts. These people rarely -- if ever -- get into real fights. After a while, what most people think of as self-defense is not really why they're training. Their training is really about personal growth and personal development. Some modern fighting systems, such as krav maga, are combat systems. These systems are not about being a way of life. They are solely about efficiency and effectiveness. These combat systems are not sports. They are not about building community or relationships. They are about combat -- hurting or killing people as fast as possible. Other modern fighting systems -- such as MMA and Brazilian jujutsu-- are mostly sports. They combine some of the aspects of traditional martial arts and combat systems for the purpose of winning competitive fights. 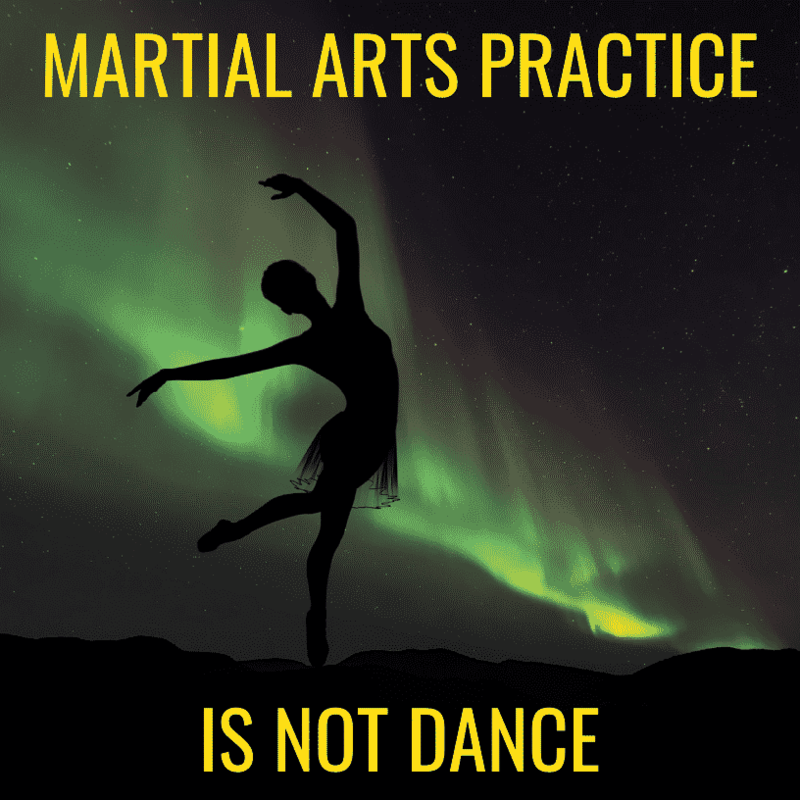 While these arts can be very effective for self-defense, they are not true combat systems. The contests are voluntary -- not attacks on the street. They have rules and referees. The contestants are not out to permanently injure or kill one another. That being said, these sports are not realistic for most people as lifelong practices because they are too hard on the body. They're primarily for young people who like competitive fighting. A lot of martial arts schools will mix these various types of arts together, create a mixed martial system, or just their own style of martial art. So, for instance, you'll see martial styles that would not normally have competitions -- like krav maga or aikido -- participating in and even creating their own competitions. There's lots of variety out there in the martial arts world. You should be able to find a dojo that fits with your own personal goals, where you'll feel comfortable and have a great time. Should I Choose a Traditional Martial Art or a Modern Fighting System? What style of martial art you choose really depends on what kind of things you like to do and what benefits you want. Some people want to physically mix it up. They don't mind getting knocked around a lot. In fact, they like it. Perhaps you don't want to get bruised and banged up. Perhaps, you're more interested in building confidence and learning some self-defense skills. A lot of people are really interested in effective self-defense training. Here's something that may be a bit controversial . . .
but I think true (or I wouldn't say it!) about what's important in choosing a martial arts style . . .
What kind of self-defense skills do I realistically need? Do I need to be combat ready in this dangerous world? Well, at least here in Grass Valley, California (that's in Nevada County, in Northern California), we're not living in a war zone. Contrary to common belief, the United States, as a whole, is far safer than it has been for decades. Just consider the most serious crime of all -- murder. 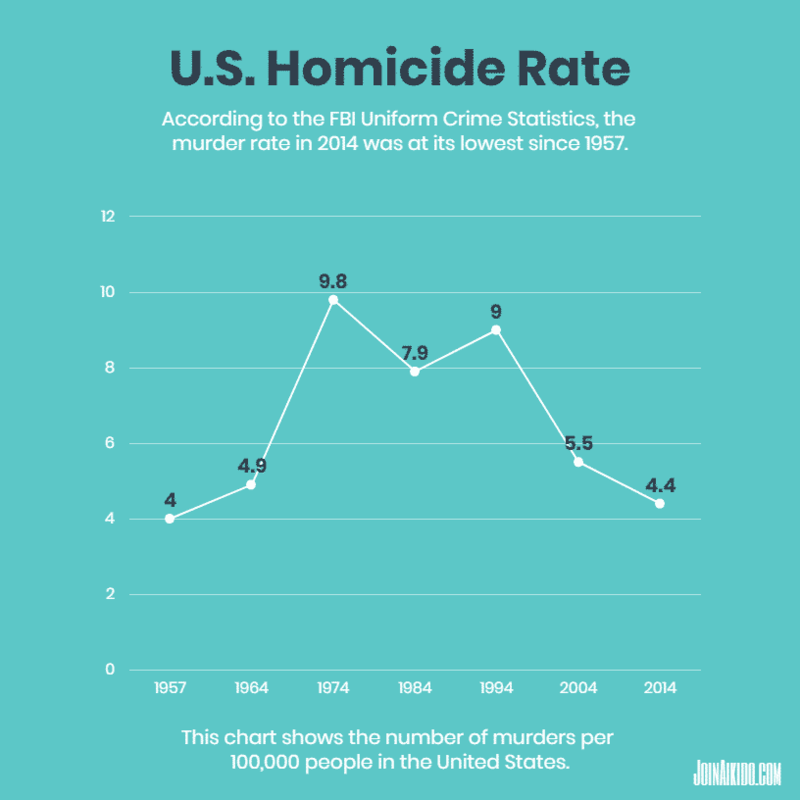 According to the FBI Uniform Crime Statistics, the homicide rate in 2014 was 4.4 homicides per 100,000 people. Sounds like a lot, doesn't it . . . So when was the last time the murder rate was that . . . low? Not a decade before, because in 2004 the rate was 5.5 per 100,000. Not in 1994, when it was 9.0 per 100,000. Not in 1984, when it was 7.9 per 100,000. Not in 1974, when it was 9.8 per 100,000. Not in 1964, when it was 4.9 per 100,000. It was 1957, when the rate was 4.0 per 100,000. You're probably thinking, you know, murder's not the only violent crime! 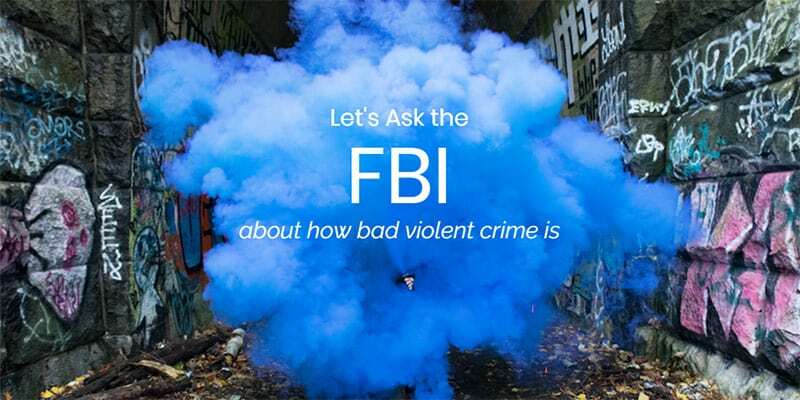 What about violent crime that's not murder, like aggravated assault? Here's what the FBI says about that . . . In 2014, the rate for aggravated assault was 229.2 per 100,000 people. 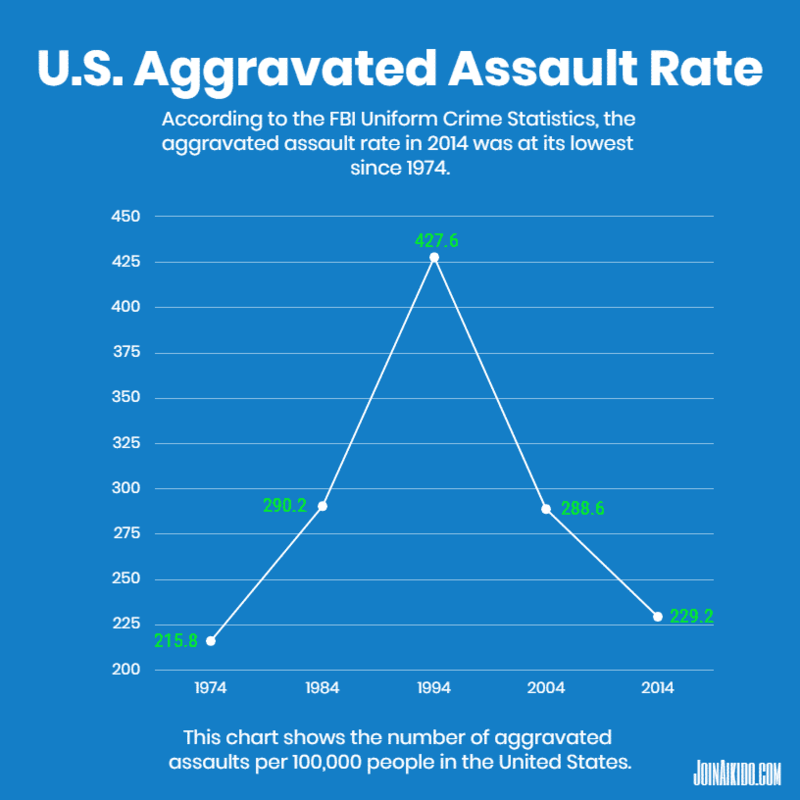 When was the aggravated assault rate that low? 40 years earlier, in 1974. What about robbery? And the FBI says . . . 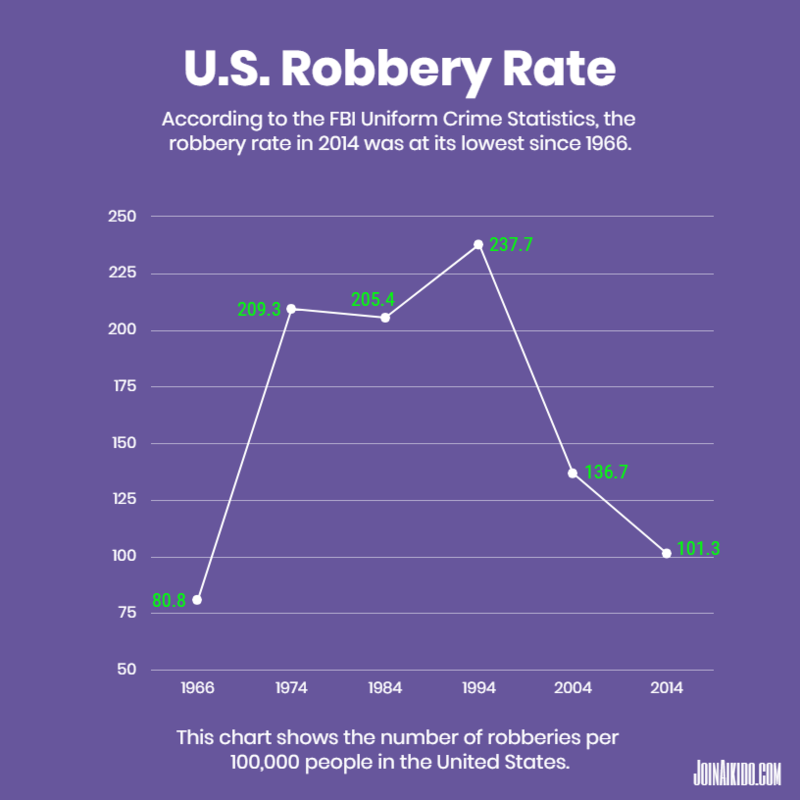 In 2014, the robbery rate was 101.3 per 100,000 people. The robbery rate was that low in . . . 1966, 48 years earlier. That's right, this country is safer from violent crime than it has been for many decades. Don't misunderstand me. I'm not suggesting that the U.S., or anywhere else, is perfectly safe. But the country isn't on a long fall into violent chaos -- exactly the opposite. So don't be paranoid. Be aware, instead. Don't be sucked in by those people who have a reason to spread fear. They may earn lots of money by terrifying you. They may get elected by scaring the stuffing out of you. Thumb your nose at them. I'm not saying that solid self-defense skills are a waste. Not at all. Being able to defend yourself from the most likely types of attacks is incredibly important. The chances are very much in favor of you never needing anything more than that. Of course, you may need true combat skills if you do stupid things in stupid places. So, don't do that. OK? For the most part, we don't need to be experts in hand-to-hand combat. For that reason, martial arts have evolved to be more than mere fighting systems. These evolved martial arts systems are what give the real benefits that people are looking for, like respect, self-confidence, supportive community, self improvement, personal development and so on. Here's a super important piece of info . . . Self-defense -- as in actually keeping yourself safe from attack -- is usually pretty simple. Generally, I train 4 days a week, often as many as 7 days a week. I've been on the mat this much for many years. Now imagine spending that much time preparing for an absolutely horrifying event that you never want to have happen. Imagine spending thousands and thousands of hours putting yourself into the moment of that horrifying experience. Grappling with that terrible stuff. Getting beaten up and beating people up. Just to avoid getting beaten up. That doesn't sound like fun to me. If I did that training, what's it going to do to my outlook on life? If I trained like that, wouldn't it make me paranoid? Wouldn't I be looking for and expecting a life and death struggle all of the time? I don't know about you, but I don't want to live that way. To me, that's counter productive and stupid. That type of long term training wouldn't make my life better, it would make me miserable. I'm not doing it. And I haven't. I'm not saying that long term training in a combat system is wrong for everyone, but you now understand why it's wrong for me and many others. Our aikido training is nothing like that. Yes, we train vigorously and our aikido is martially effective. My students have defended themselves and others from attacks. Our training is fun, while improving ourselves and building community. We don't spend our time preparing for all out hand to hand combat. Instead, we practice the traditional martial art of aikido. Don't you agree that self-defense is acting to protect yourself from harm? If so, then your self-defense efforts should be aimed at protecting yourself from things that will seriously hurt you - or even kill you. Of course, an attacker can certainly kill you. But how likely is it that an attacker will kill you rather than all of the other things which might really harm you? Death by violence in the United States is a small cause of death these days. Don't get me wrong, murder definitely happens. It happened 15,872 times in 2014. But if you want to use your time wisely to protect yourself from death, take care of your heart. Because heart disease is way more likely to kill you or ruin your life than a bad guy. In 2014, heart disease killed 614,348 people. Bad guys killed 15,872. In other words, you're 39 times more likely to die from heart disease than violence. So your self-defense practice should begin with heart defense. Of course, practicing a martial art can get you seriously into shape, which will help protect you from heart disease. That's one of the tremendous benefits of a traditional martial art. Indeed, practicing a traditional martial art will tend to protect you from a lot of the nasty things on that list of killers. I think that self defense is way more than having super-efficient ways to take down bad guys. Self defense, to me, is about focusing on those things which really will make me safer, healthier and happier. So I prefer and generally recommend training in traditional martial arts schools rather than combat gyms. But what's right for you is up to you, not me! Which martial art is best for self defense? Which is the most effective martial art in a real fight? As long as you're training in a dojo that actually teaches self defense, it probably won't matter at all which art you choose. Which art you choose probably doesn't matter. If you're at a martial arts school that teaches effective self defense, you'll learn how to defend yourself in almost every situation you could realistically expect. In reality, it's you that matters much more than which art you've practiced. Follow these two super basic rules and you'll have a chance of defending yourself. If you don't follow these rules, then I don't care what art you've practiced. You'll be an easy target. Know what's going on around you. Look around. Don't be paranoid and fearful. Just pay attention. 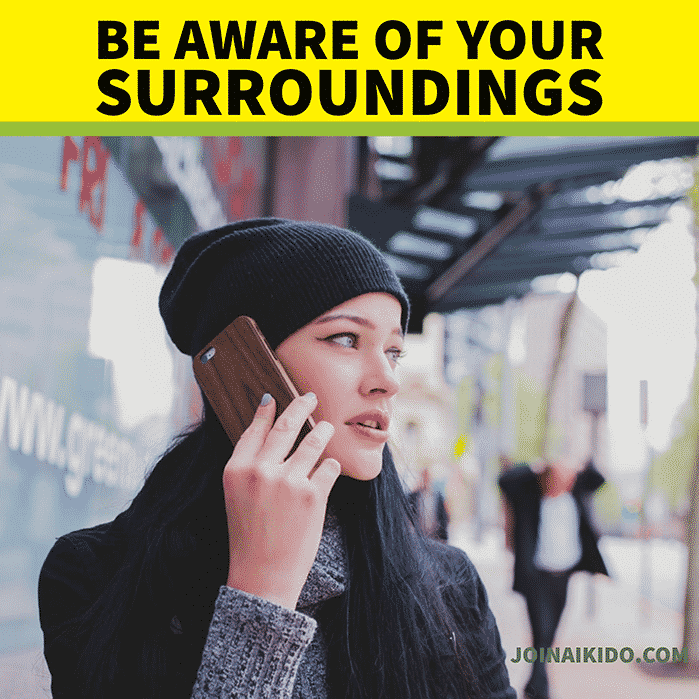 For instance, don't walk down the street wearing ear buds and staring at your cell phone. If you do, you're setting yourself up to get attacked and robbed. Stay out of dangerous situations. Don't take a short cut through that dark alley. Take the well-lit, well-traveled longer route. If you find yourself in a bad spot, get out of it immediately. Go before trouble rains down on you. If the people you're with start doing something dangerous, illegal or just plain dumb, get away from them right away. Get to safety. How Can I Recognize an Effective Self Defense Practice When I See It? For a martial art to be a real martial art, it must have some martial effectiveness. It must have real usefulness for self defense. I think that's obvious. Don't you? If the martial arts instructor is teaching an art that is not martially effective, then I don't think they're practicing a martial art. I have no problem with dance at all. Dance is great. But I'm not a dancer and martial arts are not dance. At Aikido'Ka, we practice the martial art of aikido -- not dance. Does the practice you're watching appear to make any sense for self-defense? Not every martial arts practice is intended to have direct self defense application. So don't confuse that particular practice with effective self defense. Are all the practices for newer students simply solo practices? Because if they are, you won't learn how to defend yourself until you start training one-on-one with other people. You don't have to spar or fight, but you do have to actually interact with someone else to learn useful self defense skills. You need to speak with the instructor and students. Get to the dojo early and ask questions before class. Absolutely do not disrupt class in any way. Be extremely respectful. Find out if the instructor will allow you to ask questions during class. In your before-class discussion, ask the instructor if he/she will teach some techniques with effective self defense application. Ask the instructor about what you'll be seeing. If the instructor is not interested in talking with you, or responding to your reasonable questions, then move on to another dojo. If what you see doesn't make sense ask about it. If the instructor doesn't explain to your satisfaction, move on to another dojo. Practicing, understanding and applying certain martial principles will give you a real chance in a self defense situation. These principles should be present in virtually every practice at the martial arts school. But don't confuse principles with techniques. Principles are the why of doing something. Techniques are the how of doing it. What follows is about general principles, not techniques. These are the basic principles of combat: Speed, surprise and violence of action. 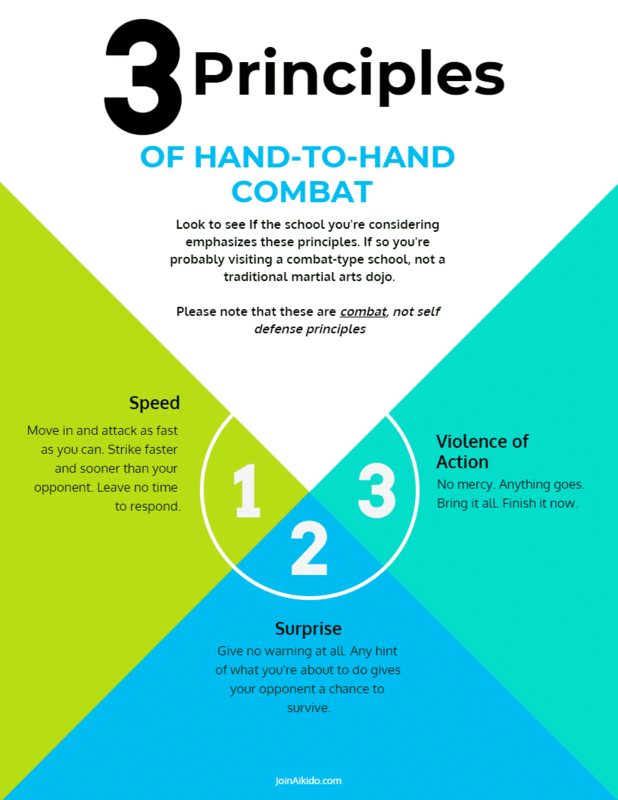 If the martial arts school you're considering emphasizes these principles above all others, chances are that you're visiting a combat type school. If you're not looking to spend your time seriously fighting, then you probably want to head somewhere else. If you do want to really mix it up, or become a competitive fighter, you might be in the right place. 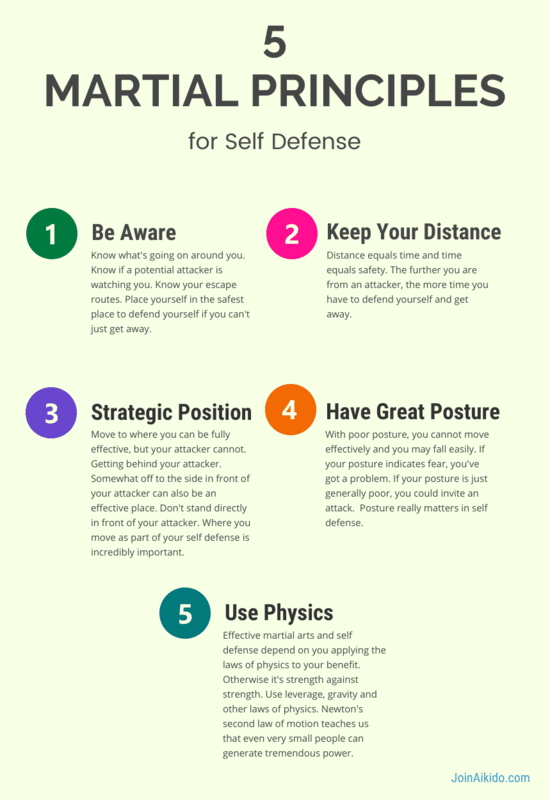 Here are general martial principles that should be taught for self defense effectiveness . . .
Situational awareness will save you. Know what's going on around you. Know if you're about to get attacked. Know your escape routes. Place yourself in the safest place to defend yourself if you can't just get away. Keep your distance from the attacker as long as possible. Distance equals time and time equals safety. The further you are from an attacker, the more time you have to defend yourself and get away. Place yourself in a spot where you can be effective and your attacker can't. Aside from your distance from the attacker, where are you relative to the attacker? Are you standing right in front of him (the attacker is usually male)? Are you off to the side? Where you move as part of self defense is incredibly important. Have the best posture you can. More than 90% of our communication as humans doesn't involve the meanings of words. If your posture indicates fear, you've got a problem. If your posture is just generally poor, you could invite an attack. 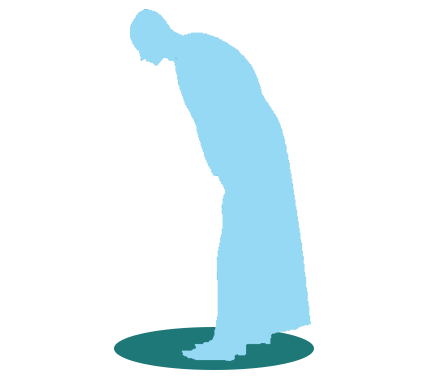 With poor posture, you cannot move effectively and you may fall easily. If your hands are down by your sides or even behind you, you'll have an awful lot of trouble using your hands to defend yourself. Posture really matters in self defense. Use the laws of physics to your advantage. Effective martial arts and self defense depend on you applying the laws of physics to your benefit. We use leverage -- a lot. We use gravity -- a lot. For instance, if you can successfully challenge an attacker's balance, gravity will seriously help you out. The attacker will use a lot of their strength and attention trying not to fall down rather than beating on you. That will give you a real advantage. Taking a person's balance is applied physics. Despite what some supposed martial arts "gurus" might suggest, there's no magic in martial arts. You're not going to throw attackers without touching them and you're not going to steal attackers' energy by staring into their eyes. That's nonsense. Avoid it like the plague. Using physics a small, weak person can overpower a large, powerful person. If the practice you're watching is primarily about speed and strength, the fastest, strongest person will win. That's not really martial arts and it certainly isn't effective self defense. It's just strength against strength. These are just a few of the basic martial principles of effective martial arts and self defense. By looking for these principles you can start to tell if the dojo you're considering is doing real, effective martial arts or is actually a dance studio. How About a List of Martial Arts I should consider? A lot of martial arts exist in the world -- hundreds, I'm sure. I'm not going to give you a list of the top ten deadliest fighting styles or anything so ridiculous. Instead, here's a list of martial arts that are fairly common for you to consider and that you may be able to spend years practicing and enjoying. You should be able to find what dojos are near you by Googling "martial arts classes near me" or replacing "martial arts" with the name of the art you're looking for in your community. For instance, if you live in Grass Valley, you could Google "aikido in Grass Valley" or something more general like "martial arts in Grass Valley." By the way, when you're looking at the Google search results page, at the top you'll see the map results. Don't just look at the three places shown in that box. Mostly those are just the three martial arts schools closest to you. These are by no means necessarily the best choices for you. There will be other local martial arts schools that you really should consider. 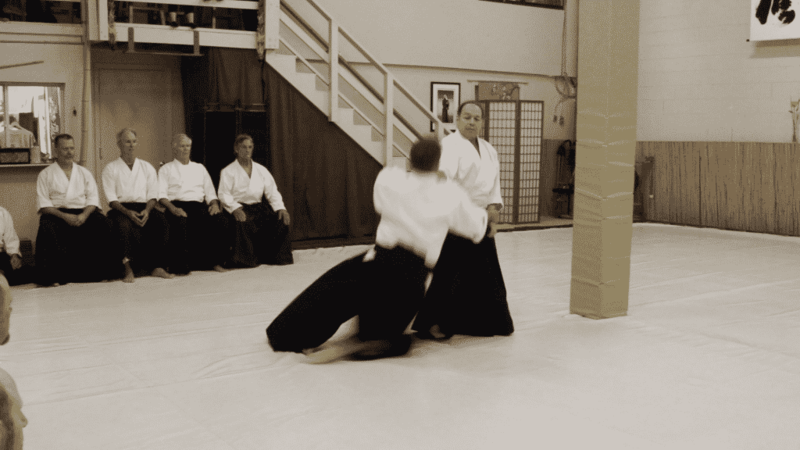 Aikido is the martial art we practice here at Aikido'Ka. Just so you know, I studied karate before I started training in aikido . . . a very, very long time ago. Morihei Ueshiba founded aikido in the 1930s. Ueshiba Sensei (know as O'Sensei -- great teacher) was an extremely accomplished martial artist and was expert in several arts. O'Sensei largely based aikido upon daito ryu aikijutsu, a very hard form of Japanese Jujutsu. Aikido is still a form of Japanese Jujutsu. O'Sensei's idea was to create a martial art which has the remarkable approach of trying to resolve disputes -- even violent disputes -- without necessarily hurting anyone. O'Sensei specifically intended Aikido to be a budo, a Japanese martial art emphasizing self development. Rather than existing to teach us to destroy people, aikido exists to improve our lives and our relationships. Now don’t get the wrong idea. 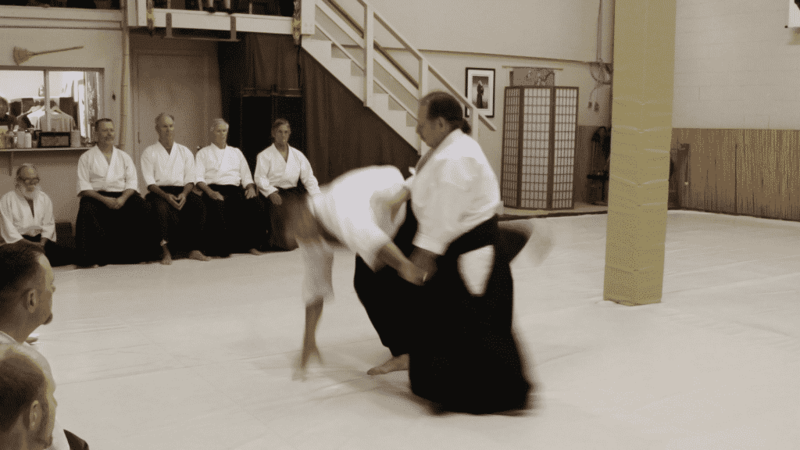 Aikido is martially effective. Depending on your practice, it can be devastatingly effective. You can train as vigorously and powerfully as you want. And you'll get there with respect and by building trust with your training partners. 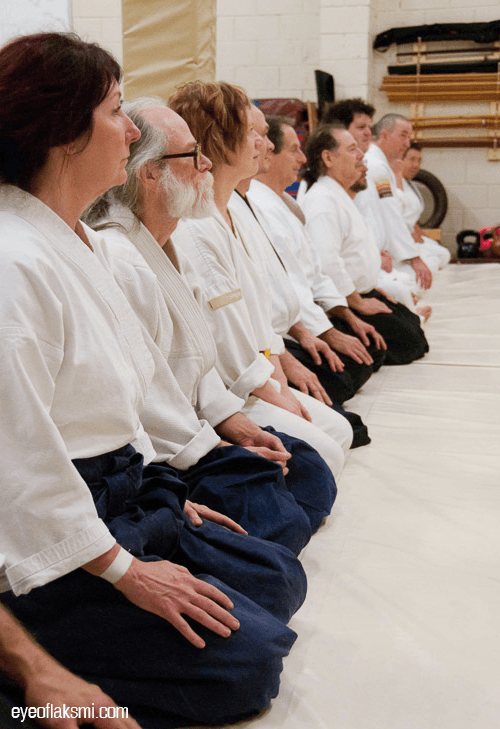 Here's another way to consider the value of Aikido training . . .
To my knowledge, except for Aikido, all martial arts have the following basic self defense perspective: If you're convinced that you're about to be attacked, strike first, strike hard. Keep striking first and hard until you disable the attacker or unquestionably convince the attacker to stop. Notice the combat principles? Speed, surprise and violence of action. In other words, see the people you’re training with as your enemy and treat them that way. After years of this type of practice, how do you think you’ll respond to any type of a threat, whether physical or emotional? I agree that it’s absolutely true that training should create fast, precise movement. If you have to think about how to respond to a physical attack, then chances are your response will be too late. But if year after year you practice a violent response to attacks, then that’s how you’ll respond to any perceived attack – without any thought and lightning quick. The self-defense aspects of Aikido are about resolving disputes, even potentially violent disputes, with no one getting hurt. With Aikido, we look to blend with our attacker. We use evasive movements to unravel the attack and place the attacker in an un-defendable position. We practice these movements until we can precisely perform them without thought and lightning quick. So if you do perceive an attack, you will not automatically respond with violence. You bring the attack in such a way so that your training partner can do his or her technique perfectly. Likewise, you perform your defensive techniques so that the attacker can receive the technique perfectly. We’re people, so we don't do anything perfectly. As we practice and improve, we increase the speed and intensity of our attacks and techniques. We practice to support each other’s improvement. We’re not pretending to be enemies. We’re partners in our practice, and working together for mutual self-improvement and to learn whatever the thing is that we’re working on. 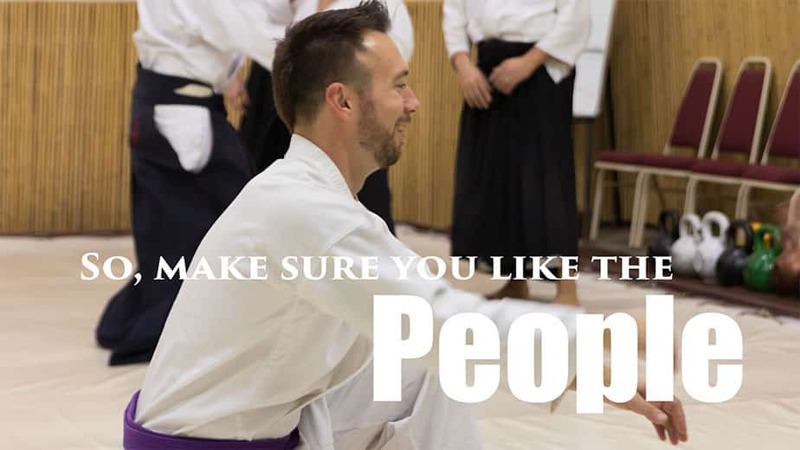 The dojo is a safe place for everyone who trains at Aikido'Ka. We do not hit each other in the head. We practice falling so that you learn not to hit your head when you fall. Aikido training comes in various styles from the least martial (what I would call dancing) to very hard forms (what I would call combat). At Aikido'Ka we do effective martial arts, not combat. Aikido self defense involves getting out of the way, throwing a person to the ground, and causing them to give up because of a joint lock or other pin. You can get into fine physical condition practicing aikido and it can be excellent self defense. Boxing is a sport that can be used for effective self defense and tremendous conditioning. A huge part of boxing is getting hit in the head. Hard. Hard enough to knock you out. Cold. Boxing simply screams brain injury. Don't do it. Brazilian Jiu-Jitsu is a martial art and combat sport system. Competitive fighting is big in BJJ. It focuses on grappling and especially ground fighting. BJJ ground fighting largely uses joint locks and chokeholds to defeat the opponent. Brazilian Jujutsu can get you into great shape. Since it relies so heavily on ground fighting, it arguably is not great for self-defense because of the chance of multiple attackers. For competitive fighting, such as in Mixed Martial Arts competitions, it is extraordinary. Judo was created as a physical, mental and moral system in Japan, in 1882, by Jigoro Kano. Though Judo was created as a martial art, it is now mostly a sport. Judo has been part of the Olympic Games since 1964. The object of Judo is to throw your opponent to the ground. You can also immobilize an opponent with a pin, or force your opponent to give up with a joint lock or a choke. Judo does not include repeated strikes to head. Judo will get you into excellent physical condition and can be good for self defense. Karate is arguably the most well known martial art. There are many, many styles of karate. Karate is a striking art which uses punching, kicking, knee strikes, elbow strikes and open-hand techniques. Karate has competitions and is expected to be part of the 2020 Olympics. Depending on where you practice, Karate can be a combat system, traditional martial art, or sport. Traditionally, Karate was considered a budo, a Japanese art emphasizing self-development. Kickboxing is a type of stand-up combat sport. It is based on kicking and punching. Kickboxing was created from Karate and Muay Thai. Schools that teach Kickboxing teach general self-defense, fitness, or competitive sport. Often "kickboxing" is offered at health clubs, where it will have no real self defense or martial value. The self defense value of Kickboxing is completely based upon the type of instruction. Kickboxing had a big part in Mixed Martial Arts competitions becoming popular. Kickboxing can get you in great shape, be good self defense and be good for competition. Watch out for strikes to the head. It is not a traditional martial art. Krav Maga literally means "contact-combat." In other words, Krav maga is not a traditional martial art. It is a combat system. Krav Maga is a military self-defense and fighting system developed for the Israeli military forces. It's put together with techniques from other martial arts and combat systems. Krav Maga is known for its focus on real-world situations and its extreme efficiency and brutal counter-attacks. As a combat system, Krav Maga can get you in great shape and be great self defense. Expect to get beaten up. A lot. Watch out for strikes to the head. Kuk Sool Won is a Korean martial arts system founded by Suh In-Hyuk in 1961. The name Kuk Sool Won means "National Martial Art Association." Kuk Sool Won is a martial arts system rather than a particular style. Kuk Sool Won involves all traditional Korean martial arts. Depending on the martial arts school, students can be very involved in competition. Watch out for head strikes. Practicing Kuk Sool Won can get you into very good condition and teach self defense. If not too dependent on competition, Kuk Sool Won is a traditional martial art. The terms Kung Fu and Wushu do not refer to any particular martial art. Instead, they refer to Chinese martial arts as a group. Kung Fu refers to any skill that you earn through learning and practice. Wushu means "martial art." There are hundreds of Chinese martial arts, many of which are truly ancient and are real traditional martial arts. Wing Chun is one of the best known of Chinese martial arts styles. It is a form of close range fighting. Wing Chun is a striking and kicking martial art. The effectiveness, authenticity and safety of any of these arts is based upon what the martial arts school is teaching. You'll have to visit and apply the principles in this article to figure it whether that style and school is for you. Mixed Martial Arts is a combat sport using striking and grappling, both standing and on the ground. As its name says, MMA is put together from other combat sports and martial arts. MMA is what the Ultimate Fighting Championship (UFC) promotes. If you want to beat people up for fun and profit, then this is for you. MMA is not a traditional martial art. It promotes and glorifies violence, rather than working against it. Definitely watch out for the head strikes. Muay Thai is also known as Thai boxing. It's a combat sport from Thailand. Muay Thai is largely a type of boxing, but allows many different strikes than American style boxing. Muay Thai uses fists, elbows, knees and shins. It's brutal and effective self-defense. It's very common in MMA professional fighting. It's not a traditional martial art. This is a type of boxing, with all of the problems with head strikes of regular boxing. Taekwondo is known for its head-height kicks, jumping and spinning kicks and fast kicking techniques. Taekwondwo is a mix of traditional Korean martial arts. While it can be practiced as a traditional martial art, in many schools it is primarily a sport. In fact, Taekwondo is an Olympic sport. Remember what I said about the protective gear used? Taekwondo students use pads on their feet along with headgear. Since Taekwondo can involve a lot of strikes to the head, you should be very careful about joining. This is a very short introduction to just a few martial arts. Know what your goals are, and what you don't want in a martial art, and check out the dojos in your area! Now to choosing your dojo . . . In martial arts training, particularly aikido, you’re going to be spending lots of time with the students and instructors at your dojo. So, choose the people -- wisely! To me, people are the most important part of training. After all, the people decide what you're going to be practicing and what your practice will be like. If you don’t want to spend time with the instructors and the other students, then it makes no sense to join that martial arts school. It doesn’t make any difference what their martial arts style is. If you don’t like the people, move on. So, start and end your research of each dojo with the people who you’ll be training with. Aikido, along with every other martial arts practice, is done with a teacher. If you think that you can learn a martial art online, or from a book, you are fooling yourself.You can’t. Find the right teacher for you and you’ll learn. In fact, find the right teacher and you’ll love your martial arts training! It doesn’t really matter what level black belt the instructor is or how many competitions that person may have won. None of that guarantees that the instructor is any good or is the right instructor for you. That being said, the instructor should have been training for quite a long time -- at least 15 - 20 years. I meet with every single prospective aikido student. I personally do every orientation. We will discuss why you want to train. We'll talk about how our community may help you reach those goals. I will then formally meet with you, as needed, to make sure you are getting what you need from your training. 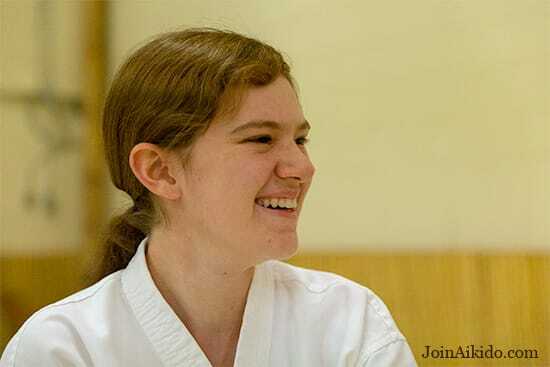 All of the instructors at Aikido’Ka are happy to speak with you, any time, about your training. Just ask. Most often one or two classes are not nearly enough for you to learn all you want about the teachers, the students, and everything else. At Aikido’Ka, we want to make sure that you choose the best martial arts school for you. 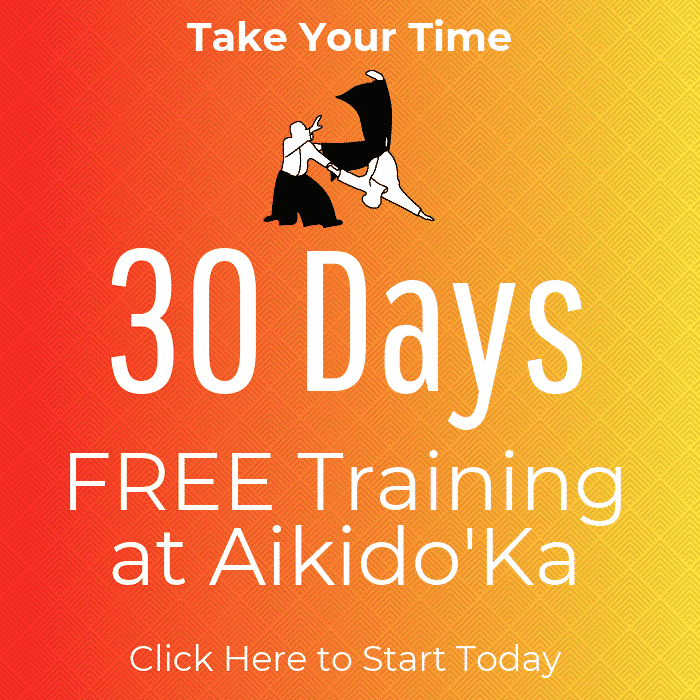 So, you receive 30 days free to try out aikido training. You have a full 30 days to see if the instructors, the students and everything else works for you. If not, then it costs you nothing. You don’t have to buy a uniform or anything else. Stay Away From Dojos That . . .
A martial arts school needs to make money to exist. I am not knocking professional martial arts instructors. They should make a good living. And I am not suggesting that a dojo should not be run as a business. But if a dojo exists first and foremost to make money, then you're probably not in a place where you are very important. You're in a place where they'll put their desire for your money ahead of appropriate, ethical teaching. Don't stick around such a place. I feel like I should explain a little more . . .
An ethical Chief Instructor does his or her best to provide the very best training possible. That martial arts instructor deserves to be paid well for that fantastic training. The desire to provide fantastic training comes before the money. The best instructors always care more about training than money. They're teaching because they love their art. Someone who puts money first has their priorities messed up and might not be ethical with you. Does the school charge you to learn different types of techniques? Do you have to pay more for weapons training? If you answer yes to these questions, assume you're in a place that cares more about money than their and your training. For instance, I was told by one “consultant” that I should look at how we teach and cut the curriculum up into different pieces. That way, I could charge more to learn the art. That seems to me not to be very honest. It’s a McDojo approach. 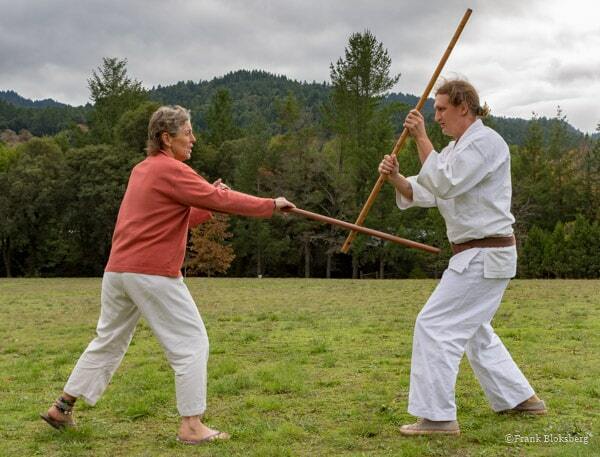 Jane and Gabriel work on a paired staff practice (jo kata). For example, aikido training traditionally includes weapons training – wooden sword (bokken), wooden staff (jo) and knife (tanto). We have a weekly class dedicated to this type of weapons training. We also have weapons training during other classes. What this martial arts consultant was suggesting is the we take parts of the art and charge separately for them. He was suggesting that we take all of the weapons training out of the aikido program and charge extra for weapons classes. That way we could make you think you are paying more to get more, but you are not. If you encounter a Chief Instructor doing this type of thing, really think about leaving. I think it's a rather deceptive approach. Just so you know, at Aikido’Ka, aikido weapons training is included in your regular dues. We do, however, have a separate sword program – a form of iaijutsu – that costs extra. That is so you can choose whether you are going to train in this additional art form. We do not charge you for training you do not want. I think your dojo dues (more on that further in this article) should be for how often you train. A perfectly legitimate way to charge dues is to charge more for more training. Some people can't train more than a couple of times a week. It seems fair to me that those folks pay less than people who train 7 days a week. By the way, I think it's entirely appropriate to charge separately for practicing different arts entirely -- aikido and strength and conditioning for instance. We offer aikido and strength and conditioning separately so that people don't have to pay for activities they're not going to do. Reasonable contracts are fine. Hard sell techniques are not. Ask the instructor about sending people to collections. If the instructor thinks that's a good idea, run. Ask students and others about collections. If there's any discrepancy, run. If the Chief Instructor is going to send you to collections for missing dues payments, then that person cares more about money than about you. Just say no to dojos that use collection agencies. If you're offered a contract that guarantees you a black belt (or any other belt) in a certain amount of time . . .
That school is more interested in money than teaching quality martial arts. If they say that they can train people to black belt super quickly because of their modern, fancy-shmancy teaching techniques, they're lying. They're trying to sell you a black belt, not train you for one. If the martial arts school awards black belts in under 3 years, they are a black belt mill. Along those same lines, if the dojo is ranking people to one or two levels below black belt in two years or less, be very careful. That place very well could be about tricking people into thinking they are going to earn their black belt quickly and then stringing them along. You will also be asked to test frequently and pay a lot of testing fees. Beware! Just so you know, I think that fastest anyone has earned a black belt here is 8 years. Speaking of Belt Mills . . . 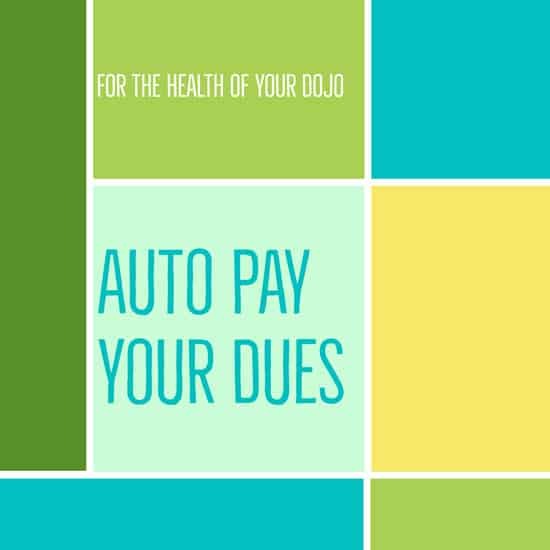 While dues are super important -- without dues, dojos would not exist -- there’s other ways for dojos to make money off of you. Uniforms – training, competition and demonstration. Protective gear – head gear, gloves, foot pads. Weapons of all sorts. Books. Online courses. All sorts of things! Depending on the art, and where you are training, you may need to purchase multiple – expensive – uniforms. In aikido, that’s not necessary. As a beginner, you can wear an inexpensive, white uniform. (We call them “gis”.) We have them at the dojo. It needs to be clean, so you may want to have more than one. Once you are training a lot, you may want to get a more expensive, heavier gi. They can last for years, so a good gi is not particularly expensive in the long run. High ranking aikidoists wear a hakama. Don’t worry about that, because you won’t need one for years. Just the same, a hakama can cost between $80 - $400 depending on how high class you want to go. They last for years. Other dojos might require you to purchase multiple uniforms for different types of events. That can become quite expensive. Depending on the art you’re practicing, you may need all sorts of protective gear – for your head, elbows, knees, feet. This can get pricey, particularly if you are outfitting children who keep growing out of things. The dojo may require you to purchase those items from them. As you know, at Aikido’Ka we practice with wooden weapons – the bokken (wooden sword), jo (wooden staff) and tanto (wooden knife). We have all of those weapons at the dojo to borrow. You do not need to get your own. After a while, you may wish to purchase your own weapons. We have them for sale at the dojo or you can purchase them other places. The prices depend on the quality of the weapon. At Aikido’Ka – as with virtually every aikido dojo – we do not have competitions or demonstration teams. Watch out for this – these can be expensive and happen regularly. Note whether these events are ways for the dojo to make money or if they are sanctioned events with other organizations. Testing fees are a biggie. I do not at all have a problem with testing fees. In fact, right now we do charge testing fees. However, we do not test often – just a few times a year. And you will not test every time. Our testing fees are very low. 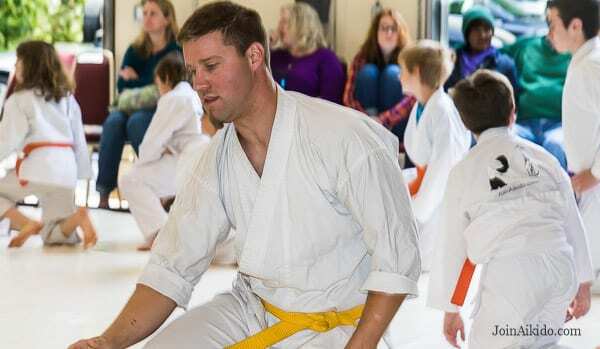 Some martial arts schools look to make quite a bit of money with testing fees. They will have many rank levels and work to put people through them very quickly. They can charge a lot for each test, with the tests coming pretty quickly. Be sure to ask about this. It will clue you into whether the dojo is mostly a money machine. Just so you know, aikido is really inexpensive to practice. You get yourself a gi and you're ready to go. Once in a while you'll have a very modest testing fee. That's really it. If you want to attend a seminar or camp, that's up to you. You'll certainly enjoy them, and learn a lot, but you don't have to attend. In popular culture, a black belt is a master martial artist. That's not true. Here's how most truly knowledgeable people think of a first degree black belt . . .
You have a strong understanding of the basic techniques of the art. You have trained for years, day in and day out. You have demonstrated your commitment to the art. As a first degree black belt, you are now qualified to really start learning and practicing your art. I do not believe that a child can put in the time and effort to earn a black belt. As you know, I haven't awarded a black belt in under 8 years. If a kid started training at 8 and trains for 8 years, then she'll be 16. She's not much of a kid anymore and would be well on her way to earning her real black belt. Also, the organization of which we are a part, the California Aikido Association, and the World Aikikai Federation both have minimum black belt ages of 15. You probably already know what I think of this, but I'll tell you my opinion anyway . . .
Child black belts are not about transforming people into fine martial arts through true budo (martial way) and shugyo (rigorous training). They are about transforming your money into theirs. 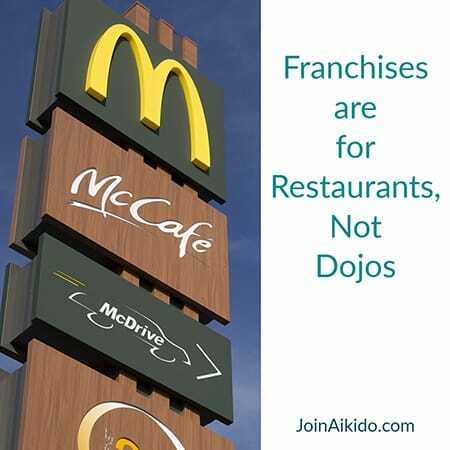 Franchises are fine for all sorts of businesses, but not dojos. Franchising is a way of creating multiple business locations which are as close to the same as possible. Franchises are not interested in meeting the needs of particular customers. They just do what they do. Think McDonald's. Do you really want to attend a McDojo? You want a dojo with instructors who will help you with your specific needs, not stick to a formula required by a franchise contract. And, it will be expensive to pay for the the franchise fees! If a dojo primarily has young people teaching, they are, by definition, hiring people with little experience. No disrespect intended, but teenagers and people in their early 20s hardly ever have sufficient training and life experience to be excellent instructors. Yes, young people can - and should - teach sometimes. But they should not carry a significant load of the teaching. The only reason that a dojo hires a bunch of young people to teach a lot is to save money on salaries. Those young folks are being hired because they're inexperienced -- and therefore inexpensive -- not because they're terrific instructors. Just so you know, at Aikido'Ka all of our regular instructors have been training more than 20 years. Use Finance Companies and Factoring. To really get the benefits of any martial practice, you have to commit to training for a long time. Signing a contract for a year, then, is perfectly appropriate. However, the contract has to be reasonable. And the price has to be reasonable -- to you. Here's something you have to know about martial art school contract. It's called . . . Most people have never heard of factoring a contract. If the school you're visiting factors contracts, run away as fast as you can. A factor is someone who buys contracts at a discount. Here's how it works and why it's so horrible for customers. You sign up for a year at Acme TaeKwonDo School (not a real place). Your dues are $150 a month. The total contract cost is $1,800. The martial arts school owner goes to Fantastic Factors (not a real place) and sells your contract for a discount. Let's say the discount is 30%. So, the martial arts school owner gets 70% of the $1,800 right away. That's $1,260. The school just raised its income this month from you from $150 to $1,260. It won't get anything more from you this year, but that's a nice income from you signing up. This is where things start to go really wrong. You no longer have a contract with the martial arts school instructor you signed up with. You have a contract with a company you know nothing about that you owe a bunch of money to. And they want your money. The factoring company is going to do everything they can to get your money. They don't care about anything else. They sure don't care about you. Don't do business with a martial arts school that sells its contracts. No exceptions. The same goes for any dojo that sets you up with a finance company to lend you the money. 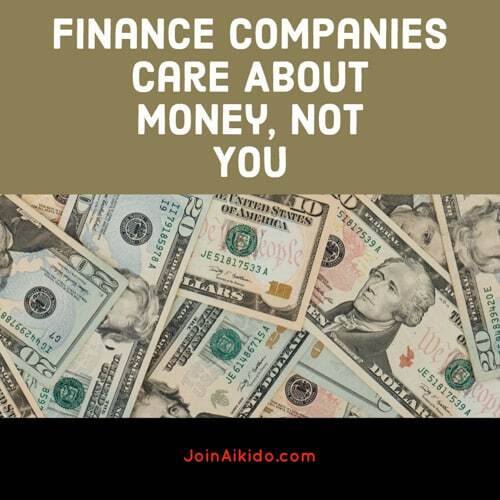 The dojo gets paid in advance and you owe a bunch of money to a company that doesn't care about you or your training at all. Finance companies heavily rely on collection agencies. Don't do this. Here we go with the controversial stuff again . . . When you're looking at dojos, don't ask about price at first. For the most part, the price really shouldn't matter. Very, very few dojos charge more than $200 a month for a person. If you start adding people in the family, then things could get expensive quickly. But don't concern yourself with that at first. Just figure out if the dojo is the one for you. Once you decide that it is, then ask about dues. If the dues are more than you can afford, ask if the Chief Instructor makes exceptions. If the dojo will not consider any exceptions, then there's a good chance that it's more about money than training. Virtually every legitimate dojo will make exceptions in its dues for people who cannot afford the regular dues. Don't be shy. Ask. The level of professionalism at the dojo will largely determine the price of training there. If the location is cheap and largely temporary (you roll out the mats before and after every class), then expect the cost to be on the low side. If the dojo location is permanent, beautifully decorated, with dedicated specially designed training spaces and mats, then expect the cost to be higher. This is reasonable and entirely to be expected. How much you care about the beauty and professionalism of the dojo is entirely up to you. But don’t think you know the answer to that now. Check out all of your options and see which training situation you find your self liking best. By the way, here's something you should know about joining a dojo community. Let's say that dojo dues are $100 a month. And let's says those dues entitle you to train 2 or 3 times a week. You're not paying to train for those 2 or 3 times a week. You're joining a community. Your dues support the community and where you meet. Your dues support your teacher. If you miss a week or a month, don't think that you should skip dues for that period. If people don't continue their promised commitment to the dojo -- then it really might not be there when you get back. Support your dojo by training consistently, with integrity, and pay your dues! Should You Auto Pay Your Dues? This question comes up all the time: Should you set up an auto pay for your dues. Or should you insist that the dojo accept your payments from you directly with check, cash or credit card? Most dojos are small businesses. In fact, many – or most dojos – teeter on the edge of going out of business. They exist on a month-to-month basis, paying all of their bills from the income for that month. If students do not pay their dues on time, the dojo would be in serious trouble. What that does is force the Chief Instructor to pay those bills out of their own funds. That is not sustainable and is why many dojos close. The simple, honest truth is that, given the opportunity, many students do not pay their dues on time. They just do not understand, or care, about how important paying their dues on time is to the existence of the dojo. Depending on what the agreement says, I do not at all have a problem with contracts. 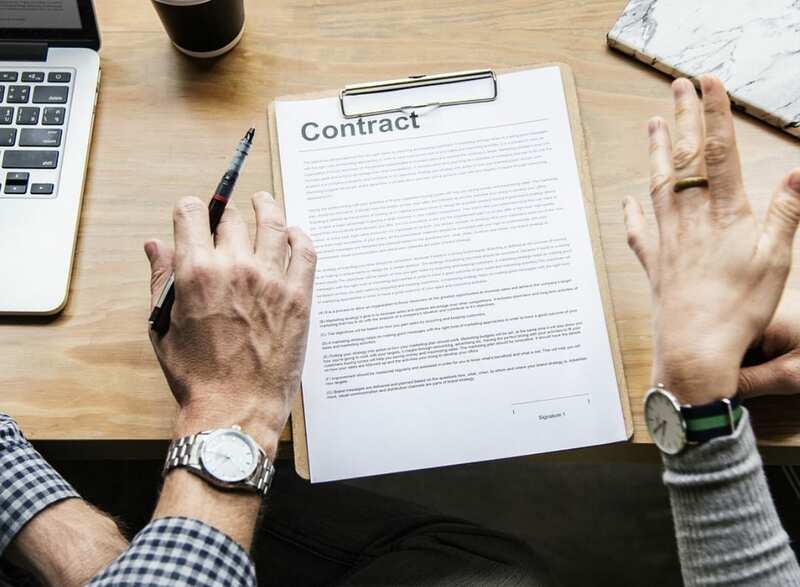 I have written an article entitled, “California Martial Arts School Contracts Law” to give you an overview of how these contracts work. (You know that I am a lawyer, right?) Read the article before signing any contract. In particular, make sure you understand whether the contract is for too much money or too long under the law. Also, make sure that the contract allows you to get cancel in the ways required by the law. If the contract violates these requirements, then think very carefully about whether the school is ethical, or at the very least, whether the people running the school are competent to actually run a martial arts school. Getting good at any martial art requires you to make a real commitment to the practice. If you do not train for consistently, you will not learn or get the benefits of the art. No exceptions exist to that rule. Since people on month-to-month memberships can simply stop training when they feel any urge to quit, they often do. If only those folks stuck around a little longer, they might earn tremendous benefits and change their lives for the better. One entirely reasonable way of helping people stick around longer is to have them make a formal, written commitment to train. In other words, a written contract. 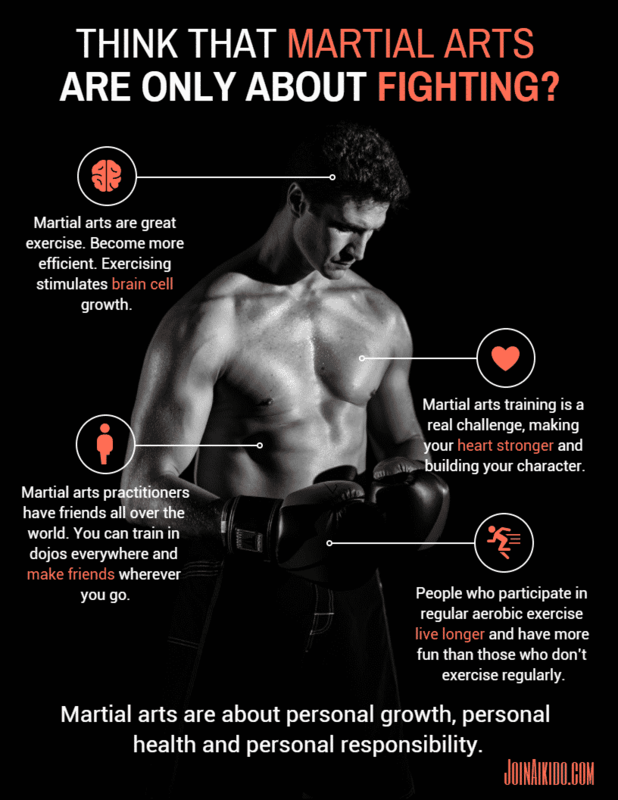 Since I have witnessed and personally experienced the value of consistent training, I support the idea of helping people make and keep a commitment to their martial arts training. So, yes to reasonable contracts. You get to decide what you think is reasonable. Here’s one thing you might consider adding to a contract if it’s not already included . . .
Add in a way for you to buy your way out of the contract. Your contract, by law, already includes reasons that you can cancel. Those reasons are pretty limited. You may want to consider adding a clause that allows you out of the contract for any reason at all, if you pay two or three months dues for the cancellation. Martial arts liability insurance is a must. No exceptions. No excuses. Ask the Chief Instructor about their liability insurance. If they don't have insurance for if you get injured training, go somewhere else. Some schools even have insurance to cover some of your medical bills if you get injured. Expect to sign a waiver of liability. Every martial arts school operator in their right mind will insist that you sign a waiver. I am not going to go into the specifics of these waivers in this article. Martial arts liability insurance companies insist that the dojo use waivers. What a well-written waiver does is tell you that training in the martial arts is dangerous and that you can get hurt. When you sign the waiver, you give up most (or all) of your rights to get compensated for any injuries you get while training. That doesn't include certain types of insurance payments, such as for medical injuries. Don't think that signing a waiver is meaningless: They generally are enforceable. If you don't want to sign a waiver, then don't train in a martial art. 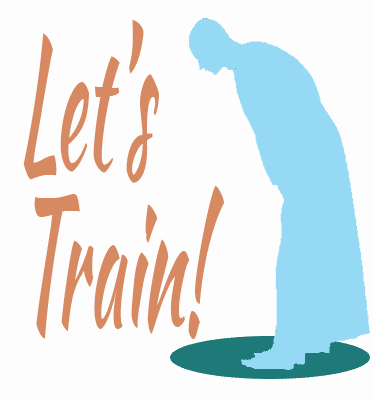 No instructor worth training with will agree to train you without one. If the martial arts school doesn't have insurance, and isn't using waivers, they do not know what they're doing. Head somewhere else. Speaking of community and friends, here's a group photo from Aiki Summer Retreat 2018. I co-host this annual retreat with Michael Friedl Shihan. OK, that's it for now for our Ultimate Guide to Choosing a Martial Arts School. 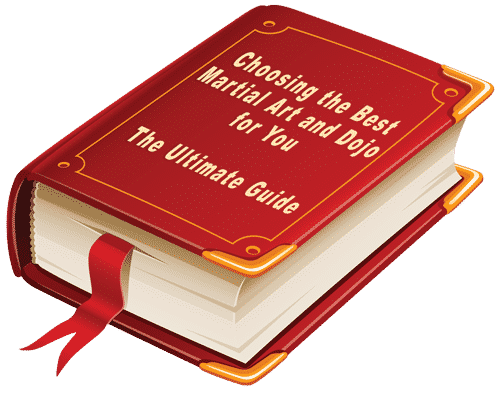 I really do hope that it helps you choose a martial art that is really right for you. Martial arts training is fantastic. You could spend years -- even an entire lifetime -- practicing your art, learning, becoming a better person, making friends throughout the world and having a wonderful time. Do it! As I think of more things to add to this article, I will. If you have questions, or want me to add something, let me know in the comments.